Nuevo Proyecto: 2018-10-24 17:25:42 - Technology celebrities and their tech achievements. Students talk about a community that is formed by the most influential people in tech by using grammar and vocabulary related to the activity. Through the activity, students are expected to talk about who is behind the most inspiring and innovative companies in tech and make their own TOP 10 by filling out a form containing these tech celebrities’ most relevant information (Job Title, place of work, tech platform description, fortune) Talking about communities, neighbors, cyberspace, welcoming guests are topics of Speak out Intermediate Module 2-Unit 8 Level V 2018-2, which are usually an important part of an assessment process and students apply their knowledge in different activities prior to the information sharing. El estudiante estará en capacidad de: ? Dados textos expositivos relacionados con actividades que se realizan en el entorno familiar y social, evaluar diferentes tipos de relaciones interpersonales en comunidades reales y virtuales. ? Narrar en un texto (oral y escritos) eventos importantes en el ámbito tecnológico que impactan la vida cotidiana a nivel socio-cultural. ? Intercambiar ideas sobre tipos de comunidades y actitudes hacia una sana convivencia. Sesión 2: During this second session, the teacher will follow up on the topic of Relative clauses. English textbook: Speak Out Intermediate Unit 8 Power Point Presentations Relative clauses Relative pronouns Blog about neighbors A website review Other An article about influential people in technology. Grammar Articles Quantifiers Relative clauses (defining/non-defining) Vocabulary Getting on with people Compound nouns The internet welcoming Functions Getting on (with people). Talking about internet. Welcoming. 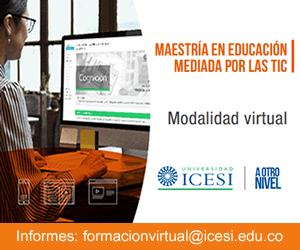 Actividades del Docente The teacher Asks the students to provide examples of each virtual tool. Has students check this list of words and asks which tools they use regularly or occasionally. Explains the difference between defining and non-defining relative clauses along with relative pronouns by talking about the origin of YOUTUBE. Gives extra practice with a Power Point Presentation Provides worksheets in addition to the ones the book has. Has students infer the rules to recognize the difference between defining and non-defining rules. (Book Speak out Intermediate Unit 8, section 8.2). Then has students put the topic into practice: Practice Activity 6A; Page 96. During this second session, the teacher will follow up on the topic of Relative clauses. Actividades del Docente The teacher Reviews the concept of defining and non-defining relative clause and the corresponding relative pronouns. Provides a worksheet that will be used to put into practice the topic of Relative clauses. Gives instructions for students to combine two sentences that turn into relative clauses. Shows a Power Point Presentation to summarize concepts. The student: Applies his everyday experience and knowledge of internet and researches about some of the people that have created the tools and apps that they use on their smart phone. Completes the exercises provided in the worksheet provided by the teacher. Researches what duties are necessary to perform in the following IT (information Technology jobs. Comes to class prepared with information about the VIP names in technology listed above. Writes job descriptions for each job by using relative clauses. Reads an article about influential people in technology Fills in the forms for each IT celebrity (Job Title, place of work, platform, description, fortune) Makes the TOP 10 based on criteria decided by the student. Teacher’s questions The teacher asks students some of these questions in order to get them involved. How often do you use internet? On average, how many hours per day do you spend on the Internet? What do you like doing most online? How often do you use... everyday more than once a day once a week once a month Chat rooms Instant messenger Social networking sites blogs gaming Web browsing music File sharing shopping News internet Where do you use the Internet? at home? at school? at a café? at Icesi library? on your mobile phone? at a friend’s or family’s house? If you use Internet at home, what room do you use it in? ___ living room ___ bedroom ___ dining room ___ Other (please specify) How many online contacts do you have that you have not met in the real world? Have you ever met someone in the real world you have only met online? Do you use a webcam? What do you use a webcam for? State the 3 best things about the Internet (include web addresses if wanted) State the 3 worst things about the Internet (include web addresses if wanted) Students will be graded considering this rubric. Rubric 5 4 3 2 1 Communicative achievement Discourse is well organized. Uses strategies for communication breakdown naturally. Discourse is well organized. Uses strategies for communication breakdown with some difficulty. Discourse is somewhat organized. Uses limited range of strategies for communication breakdown. Discourse is somewhat disorganized. Rarely uses strategies for communication breakdown. Discourse is disorganized. Does not use any strategies for communication breakdown. Comprehension Generally understands main ideas and details easily. Understands most main ideas well. Details sometimes pose a problem. Understands simple ideas easily, more complex ideas pose a challenge. Has trouble understanding simple ideas. Consistent lack of comprehension. Fluency Speaks with very little hesitation. Ample vocabulary range allows for smooth flow. Speaks with occasional hesitation. Common vocabulary generally flows well. Speaks with hesitation. Common vocabulary sometimes flows well. Speaks with frequent hesitation. Common vocabulary often poses a problem. Speaks with severe hesitation. Common vocabulary consistently poses a problem. Intelligibility Minor pronunciation issues do not affect communication. Pronunciation issues occur occasionally, but distraction is minimum. Pronunciation issues are more frequent and lead to distraction. Pronunciation issues are quite frequent and communication is affected negatively. Pronunciation issues are prevalent and communication is severely affected. Grammar Uses a variety of structures with few and minor errors. Uses a variety of structures with some distracting errors. Uses limited structures with few and minor errors. Uses limited structures with distracting errors. Uses limited structures with significant errors. Project to be developed by Level V students at Icesi University, Cali, Colombia, 2018-2.